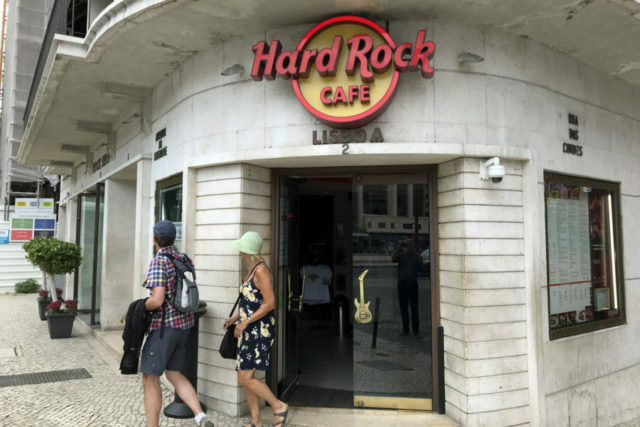 Global-Internet-Travel: What’s the Deal with Hard Rock Cafe? What’s the Deal with Hard Rock Cafe? You find Hard Rock Cafes at landmark locations all over Europe. And you find tourists that, like pilgrims, seek them out and buy a T-shirt there. I have never understood the allure. Can anyone explain to me the appeal of this bit of American rock ‘n’ roll culture overseas? Drop me a line in the comments below, on Facebook, or on Twitter.